Brisbane’s Riverside Markets are probably most popular and known riverside market in Australia. 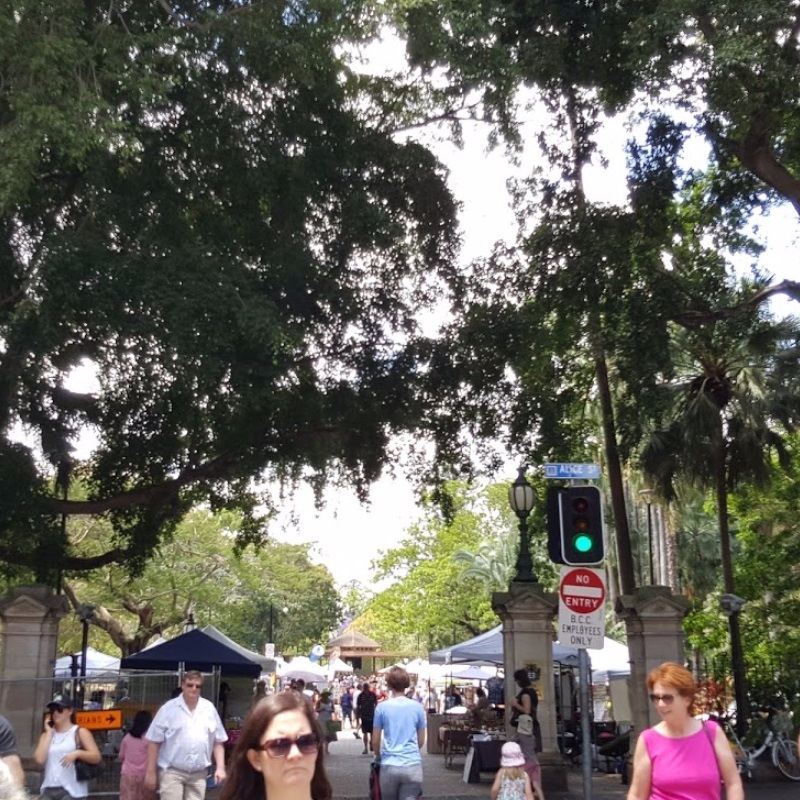 For over 20 years, the markets have been a popular gathering place for locals and tourists looking for a massive range of arts, crafts, clothing and food under the Queensland sun by the edge of the Brisbane River. Home to dozens of market stalls selling quality local and imported handcrafts, food & beverage vendors and street performers from Eagle St right down to the boardwalk, Riverside at the Pier is a perfect destination for that special gift or just treat yourself to a relaxing day by the river. 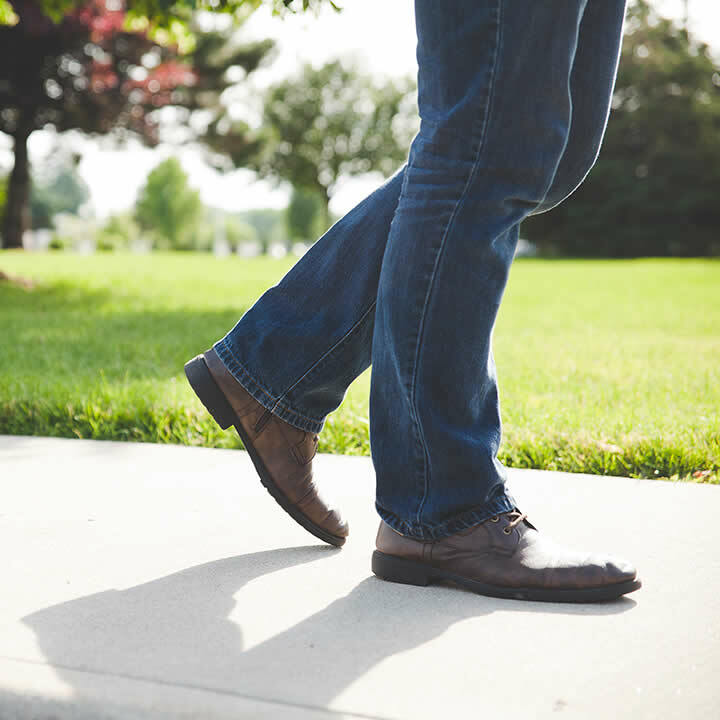 Right next to the heart of the CBD, it’s easily accessible by bus, train, ferry or foot! There’s also ample secure off street parking just underneath. As of 6th of December, 2015 Riverside Pier Markets are closed. The new home of the markets is Riverside Gardens - Corner of Alice St and Albert St.
Warrandyte Riverside Market offers over 170 stalls favouring the handmade, home grown, unique and original: produce, food, homewares, giftwares, clothing, furniture, arts, craft from Warrandyte and beyond. 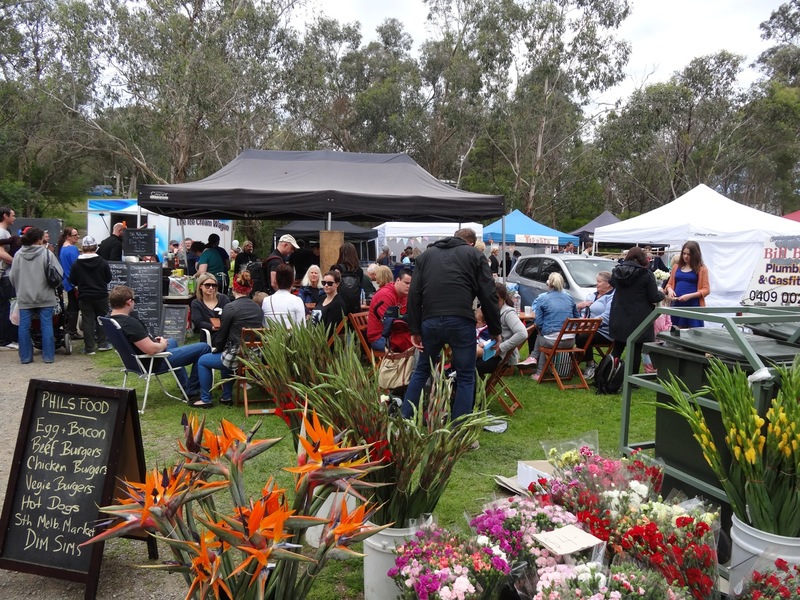 Warrandyte Riverside Market is held on the first Saturday of the month (except January & code red days) from 8am to 1pm. The market meanders along the Yarra River amongst the tall majestic eucalypts and abundance of native flora, fauna and dogs! So don't forget to bring your dog! The Warrandyte Riverside Market is on the riverbank between Andersen Creek Bridge (western end of the market) to Police Rd (eastern end). Parking is available in designated parking areas off Yarra St (on the northern side of the road). 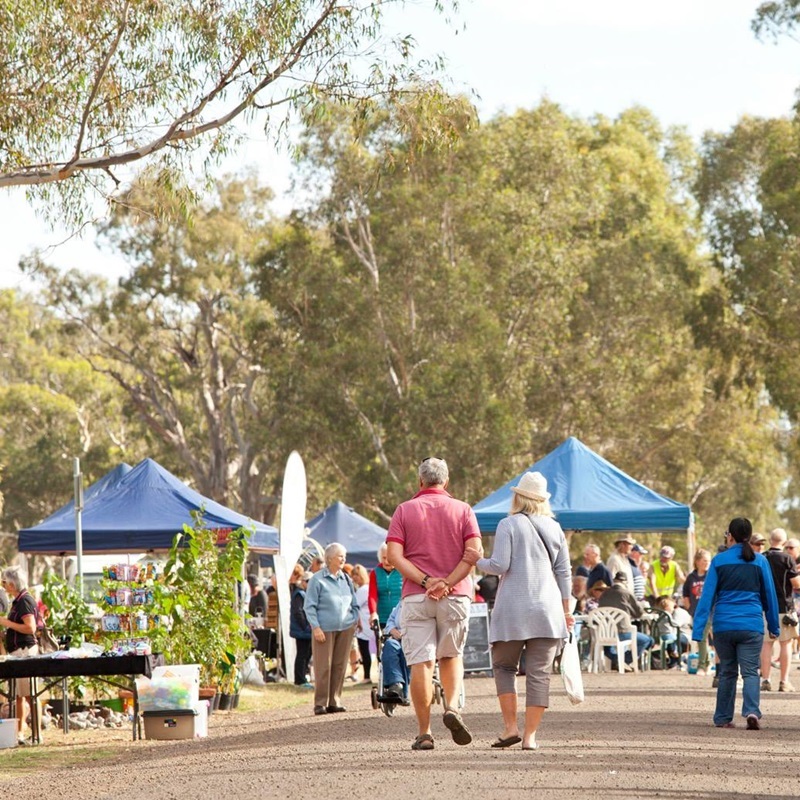 The Avoca Riverside Market is held along the banks of the Avoca River and in Cambridge St. Between 50 and 70 stallholders provide a varied range of goods, including wine, crafts, fresh food, soaps, candles, plants, garden art, clothing, jewellery, lollies and more. Local community groups raise money through a bacon and egg breakfast and sausage sizzle for lunch. Avoca is 183km from Melbourne via the M8 and Sunraysia Highway through Ballarat. The market always welcomes new stallholders so please contact them if you have home made goodies, art and craft, or second hand goods to sell and especially if you want to run fresh fruit and vegies stalls. 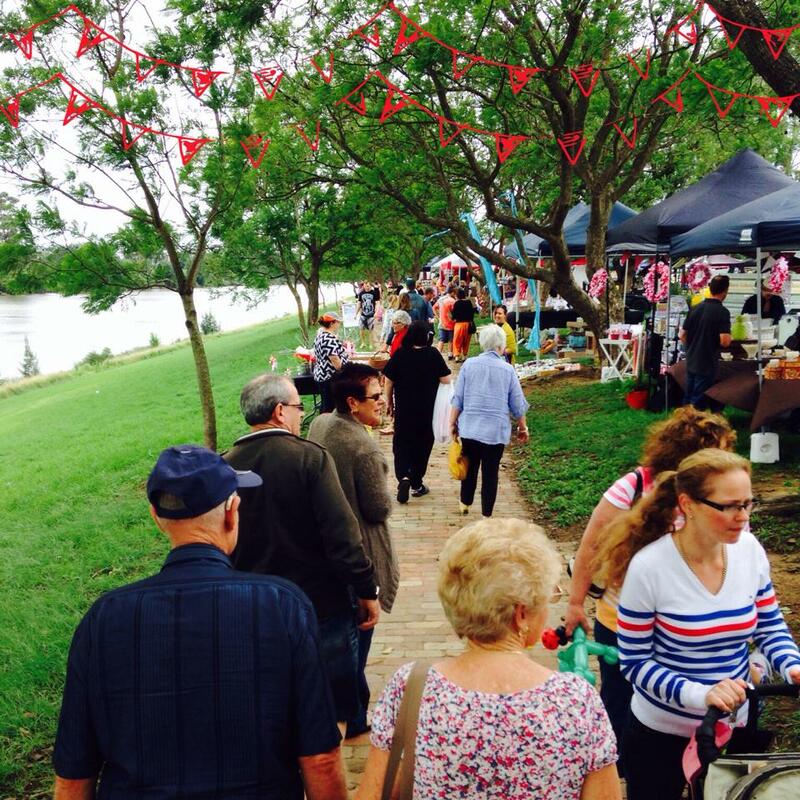 Windsor Riverside Market is held on the third Saturday of the month from 9am to 2pm. Come and stroll along the beautiful Hawkesbury Rivers edge. Beautiful Market stalls showcasing handmade Fashion, Homeware, Arts & Crafts, jewellery and more. With the inclusion of quality upstyled antiques, and vintage items in 2017 there is sure to be more to see and buy then ever before. Kids Entertainment - jumping castles, go karts and pony rides will return for the younger visitors each month. Address: George St, Windsor, NSW, 2756. STRICTLY an Alcohol consumption and Smoke Free zone. PET FRIENDLY. No bikes, skateboards, rollerblades or scooters. Ample parking in surrounding streets. If you have some wares you’d like to offer yourself, stalls start from $66 per market. We are researching and publishing the best Riverside Markets in Australia. If you think your market is worth to be among the best please send us a message and we'll review it.